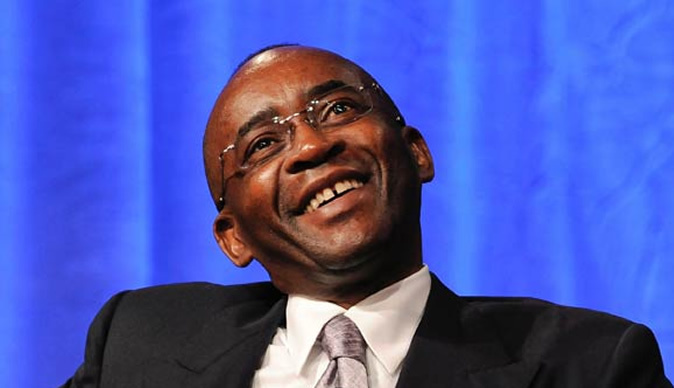 Strive Masiyiwa, the Econet Wireless founder, has always been his own man. With all his wealth, Masiyiwa does not get ahead of himself. His public persona is that of gentility — that social superiority, not superior airs, as demonstrated by polite and respectable manners — which does not put off people. He is too urbane and cultured to beat his own drum, to thump his own chest. He does not have that irritating manner found too often among some public figures, who claim they are the best at everything. Masiyiwa took on the whole Zanu PF behemoth almost single-handedly and finally prevailed to get a licence and start his own mobile telephone firm in 1998. Econet Wireless now has a global footprint and has several times come to the aid of that very same government which wanted to unfairly and unjustifiably deny him a business opportunity which has turned into a boon for the nation. Magnanimity does not come in bigger doses than that. That's shaming the devil. The Econet founder and executive chairman this week told CNBC Africa: "Concerning the change that has taken place, I believe it is real. I believe President (Emmerson) Mnangagwa is sincere in the things he wants to do." We should remember that the era of former President Robert Mugabe mostly reflected the political divisions in the country. But after his ouster, many people saw the disappearance of that political incompatibility or irreconcilability of differences. During the Mugabe days, the message or clarion call was for people to fight a savage, cruel and implacable enemy and to save the country from disaster and this galvanised people. But today, many people - including Masiyiwa, who fought many political battles with the government even from self-exile - no more view Zanu PF as an implacable enemy to be resisted and overcome. However, some opposition leaders are still talking as if we are still besieged and harassed from every direction by an implacable enemy, but they show by their actions — such as calling Mnangagwa all sorts of names and openly calling for people to rise in rebellion and march to State House to topple his government when they are within easy reach of the government to clamp down on them — that they know they are not being suppressed and victimised at all. It's now up to those supporters to open their eyes and see for themselves that what they are being told is at variance with the reality on the ground which shows political freedom has been greatly broadened —as observed not only by Masiyiwa, but even by the international community. But this should not be confused with having a free-for-all fight with no rules and no limits. To quote civil rights lawyer Zechariah Chafee, "the right to swing my fist ends where your nose begins", meaning your freedom ends where my freedom begins, that you cannot have the freedom to do whatever you want — like openly calling for rebellion using all sorts of gratuitous insults — and then cry foul when you are arrested. Now they are talking about an Arab Spring-like rebellion and advertising that to the whole world. Well, they ought to be reminded about what former Zanu PF politburo member Jonathan Moyo, their new-found behind-the-scenes strategist who could be leading them to the slaughter like lambs, said about them over that issue in 2011: "Only God knows why these hopeless copycats, whose death wish is to be arrested at the Harare Gardens and be charged with treason in accordance with the rule of law they love preaching about, honestly think they can do an Egypt or Libya in Zimbabwe." (The Struggle Continues: 50 Years of Tyranny in Zimbabwe by David Coltart). Moyo is right on three grounds. One, Zimbabwe is not ripe for rebellion as those who would like to copy and paste the Arab Spring here would have their supporters believe. In fact, conditions for rebellion are receding by the day as fuel queues disappear, shops restock, panic-buying ends and, with that, prices begin to fall. Two, you should not cry foul when after you have been granted permission to hold a rally, in accordance with the rule of law, you then go on to breach that rule of law by seditious talk inciting people to rebel against the government in power. And, three, Moyo's reference to "death wish", particularly pertaining to party supporters, is poignant but not far-fetched because known politicians disowned and distanced themselves from those demonstrators chanting party songs on August 1 after the protest had turned violent. Sadly and tragically, this culminated in seven people being shot dead by soldiers, which is now subject of a commission of inquiry, so cannot be prejudged. My point is that people should have that presence of mind so as not to be caught up in other people's wars when there is really nothing in it for them. Masiyiwa also called for the removal of economic sanctions, saying they are unjustified. It has dawned on people that anyone pushing for sanctions and perpetual political conflict is not looking out for the best interest of the country or Zimbabwean citizens as a whole. Said Masiyiwa: "I have been on record to say that sanctions are not justified and now we are almost 20 years into the sanctions and you can't have one country operating with its hands tied behind the back." Can you imagine that Zimbabwe has been under debilitating sanctions for about half of the 38 years of its existence? That is, indeed, devilish. That's the unadulterated, pure facts of the matter. One does not need economic sense, but just common sense, to get that. But for "daring" to point out that obviousity, Masiyiwa has earned the wrath of a section of Zimbabweans. Naturally, they feel that their very political lives are threatened by this announcement in view of Masiyiwa's immense influence in Zimbabwe without mentioning beyond the borders. Masiyiwa's bold statement poses an existential threat to them. But they haven't come down with a ton of bricks on American economist Steve Hanke for saying much worse about sanctions this week: "Sanctions are economically illiterate and punish innocent civilians rather than targeted governments. Oftentimes, the political elite get rich, while ordinary citizens are left to live off scraps. It's time to call sanctions what they are: war crimes." Indeed, sanctions are evil. Let me give Masiyiwa the last word: "I have invested in Zimbabwe in the last 10 years, $1,5 billion, okay? And I am committed to investing in Zimbabwe as I have always been come rain, come shine. It is going to be extremely challenging, everybody knows that. Anyone who knows economics knows it is going to be tough going, but I think Zimbabwe needs to be given a chance. We got to stop politicking and focus on rebuilding this country and I am right up there, okay?" Well, clear as crystal that. When a pragmatic patriot like Masiyiwa speaks, you sit up and listen. The economic implosion that some are hoping and praying for may not or won't happen any time soon. Masiyiwa never ceases to shame the devil like he did in 1998 — of course, now it's a different kind of devil altogether.